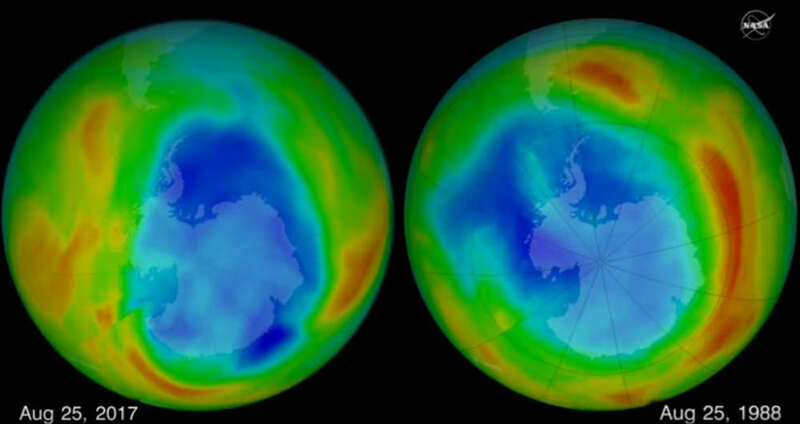 We can now heal the Ozone Hole. 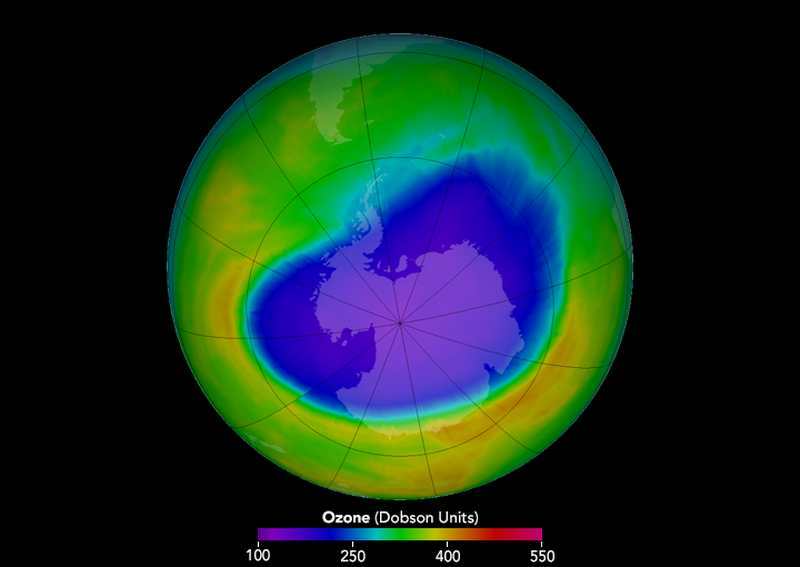 NASA sees definitive evidence of the Montreal Protocol’s success. 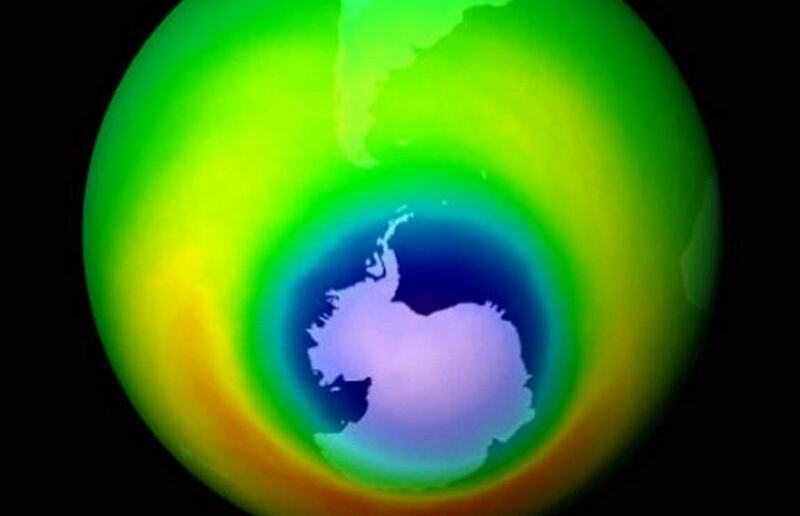 NASA: Earth’s Ozone Hole is the smallest since 1988. 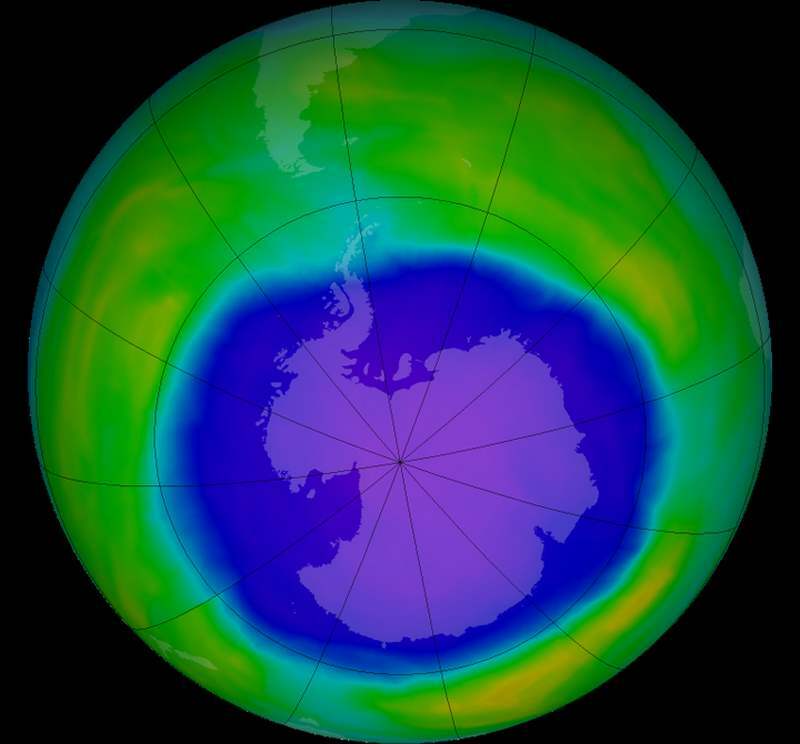 The ozone hole over Antarctica grew relatively large in 2015. 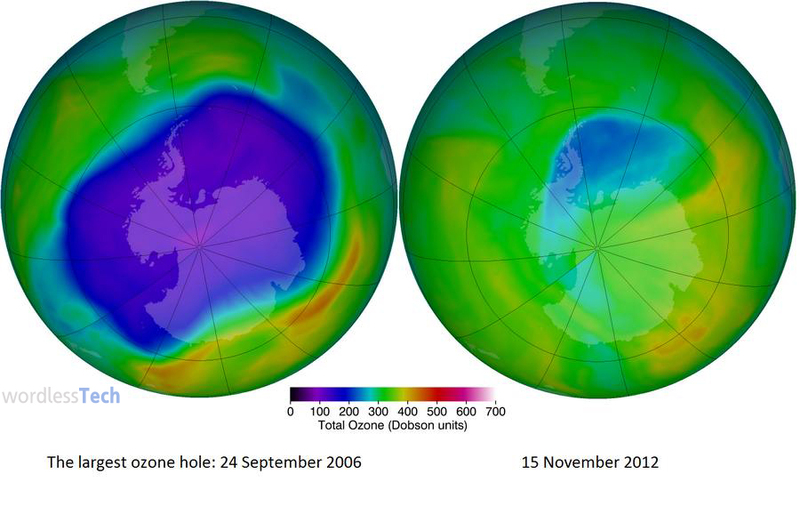 On October 2, 2015, the hole had reached its largest single-day area for the year. 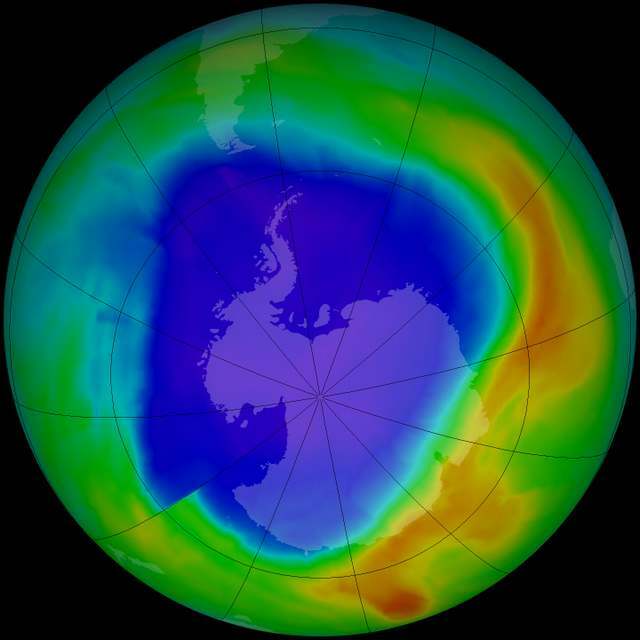 The Antarctic ozone hole has stabilized but has not begun to recover, twenty years after Montreal Protocol limited emissions of ozone-destroying chemicals. 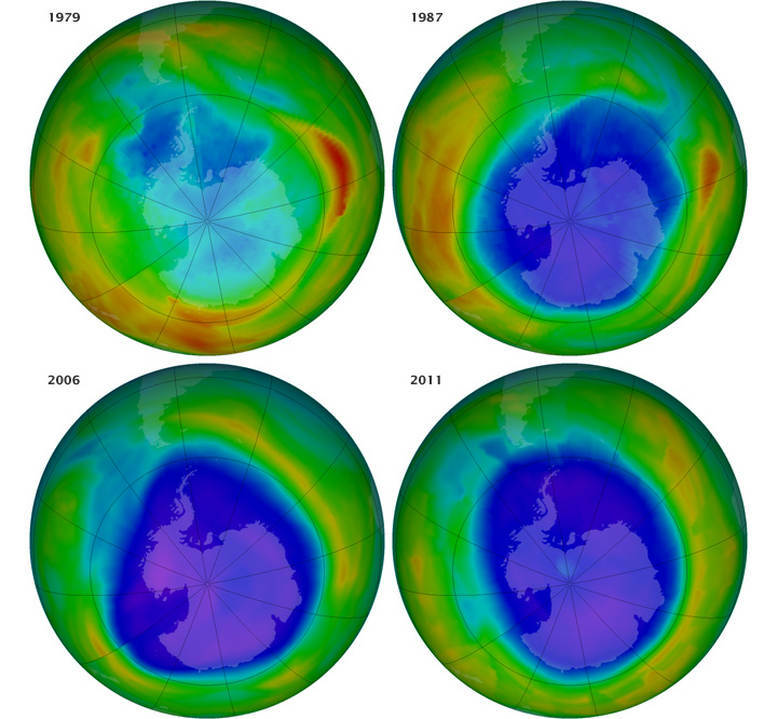 According to this image from NASA, Antarctic ozone hole shrinks to new records. 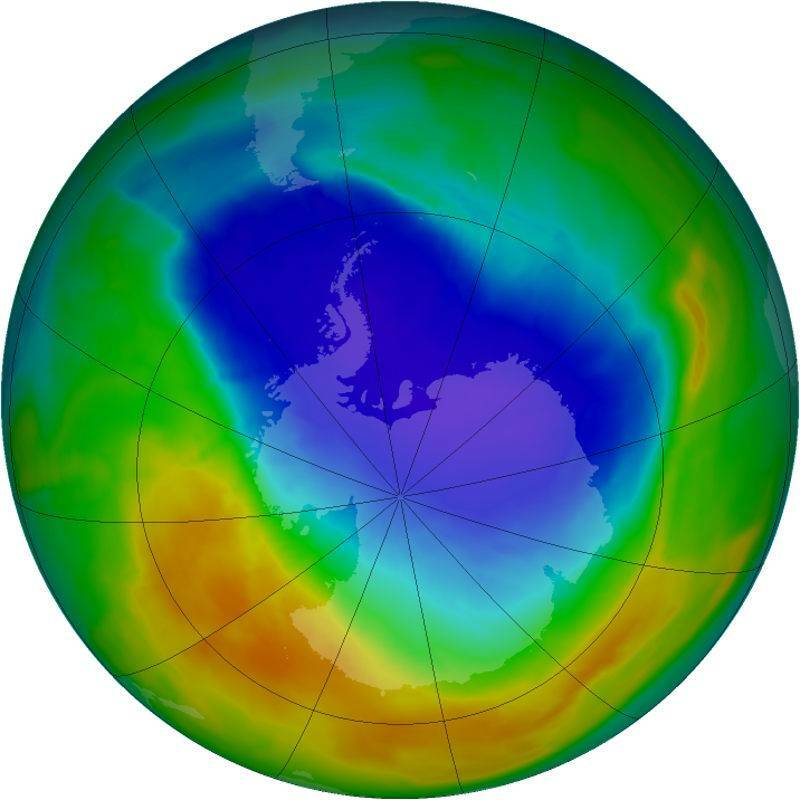 Scientists attribute the change to warmer temperatures in the Antarctic lower stratosphere. 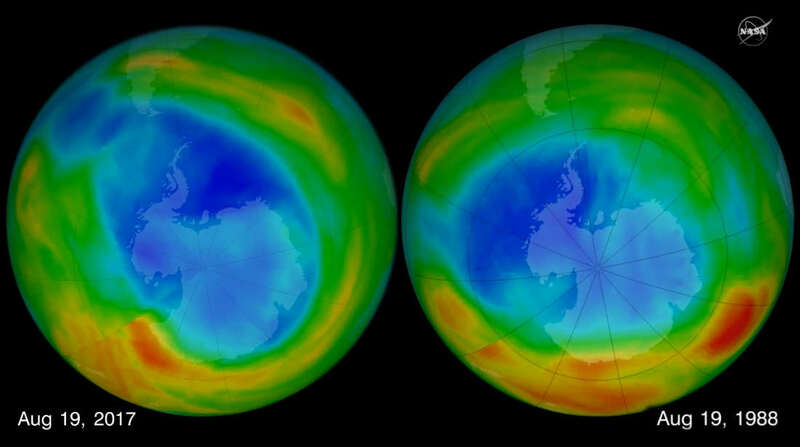 Good news for humanity! 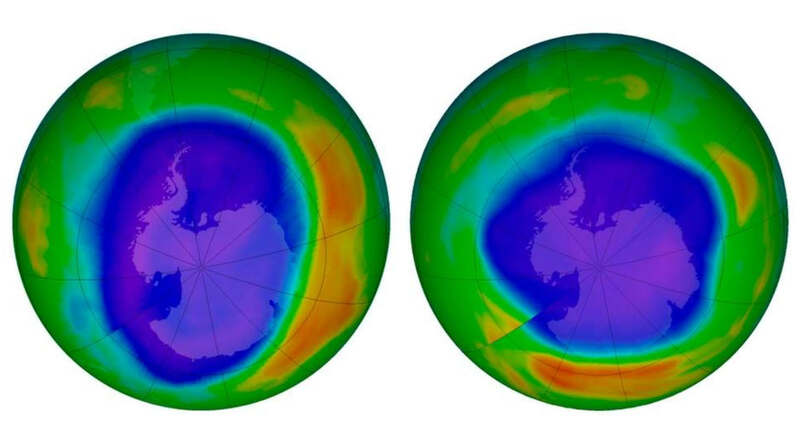 Thanks to the 1987 Montreal Protocol, Ozone layer will be completely healed by the 2060s.